When Women Were Birds: Fifty-Four Variations on Voice by Terry Tempest Williams New York: Sarah Crichton Books/Farrar, Straus and Giroux, 208 pp. Williams seeks her mother’s voice, and hears so much more. What do blank pages mean? Do they have a voice? Terry Tempest Williams explores that conundrum in her latest book, When Women Were Birds: Fifty-Four Variations on Voice. 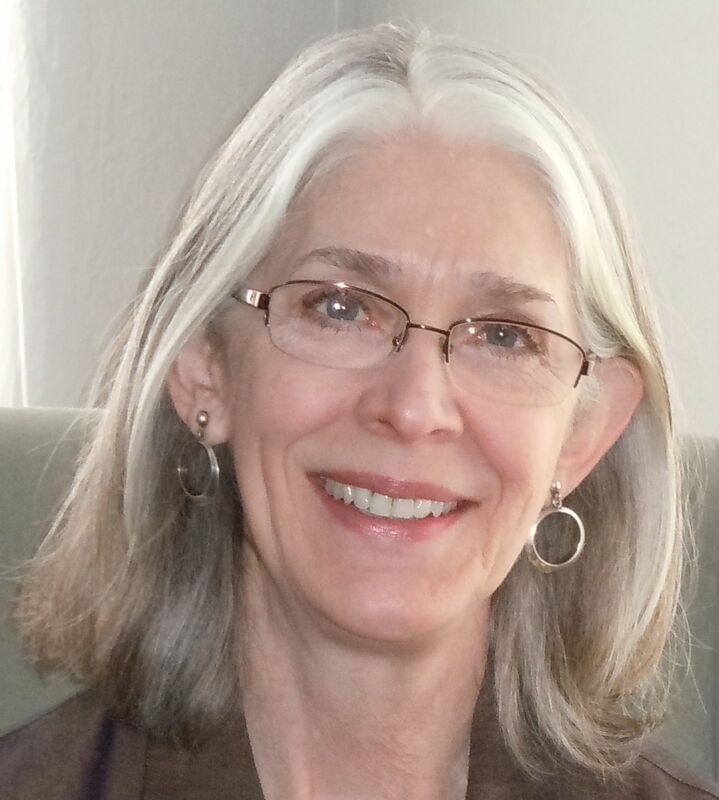 Williams is author of the classic Refuge: An Unnatural History of Family and Place. That thoughtful memoir of grief detailed the effects of radioactive fallout from a nuclear weapons test site in Nevada on her large Mormon family in Utah. Her mother, and many in her clan, developed cancer after the fallout drifted their way. Williams wrote of her mother’s death in Refuge. Now, in When Women Were Birds, her mother appears again. “I’m leaving you all my journals,” she tells Williams from her deathbed, asking her daughter not to look at them until after she’s gone. On the next full moon, a month after her mother dies, Williams decides the time is right to read the journals. As she begins to open the volumes though, Williams sees they are all blank—page after page of deafening silence. What was her mother trying to say? Noise pollution has made it increasingly difficult to find even one square inch of silence on our planet, although a spot in the Hoh Rain Forest of Olympic National Park is designed to do just that. Yet these empty journals are not quite the silence Williams expected to find in her mother’s absence. “Silence” is defined as quietness: not speaking—either intentionally or through suppression. “Voice,” on the other hand, usually refers to a sound made using vocal organs, or to singing. It can also mean an expressed opinion, or the right to state that opinion. “Voice” is speaking. Williams wonders whether a person needs to write in order to have a voice. Then, in fifty-four brief chapters, she mulls over the answer. Williams begins to consider the blank page almost as a glass filled halfway with water. Does one call it half full or half empty? She ponders whether her mother meant for her to fill in the blanks, so she starts to write in the journals herself. “Empty pages become possibilities,” she realizes. Williams has often combined thoughts on nature and writing. In another book, Red: Passion and Patience in the Desert, Williams wrote of the significance of the desert as a landscape of minimalism. “I want to write my way from the margins to the center,” she said there, and included an entire chapter on why she writes. Whenever Williams contemplates the act of writing, she imparts a legacy to other writers—those who string together letters to form words and then place them alongside one another to give shape to thoughts that, when viewed en masse, cause something called a “book” to develop. 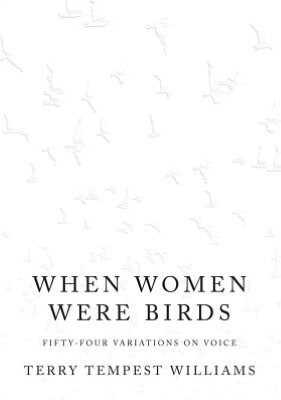 When Women Were Birds is not a book only for writers though, nor even one gender. In typical Williams fashion, the book is about so much more. Author Margaret Atwood once said, “Powerlessness and silence go together.” As Williams contemplates voice, or the lack thereof, she offers a stellar reflection on politics, poetry, and power—as well as nature, art, music, love, creation, mother-daughter relationships, truth and imagination, birth and death . . . confrontation of mortality. Terry Tempest Williams uses her mother’s empty journals to hear her mother’s voice. What she listens to resounds far more eloquently than if each page had been filled to the margins. “A mother speaks to her children through the generations,” she sees, and the stirring narrative Williams imagines will echo for a long time to come. Thank you so much for this review & for introducing Terry Tempest Williams. I hope you return to post your thoughts if you read W3Birds (as Williams refers to her book)! Wonderful review, Lanie. I’m so glad you and Richard are connected. It might be instructive to reread “A Room of One’s Own” and some of Adrienne Rich on mothers and writing after reading this book. You plucked a thread from my memory that I had intended to follow some while back. I found Refuge: An Unnatural History of Family and Place, on the shelves of a vacation rental cottage on the Maine coast in 2008 and read it cover to cover from a rocking chair by long, low windows. Reading the “voice” of Terry Tempest Williams is the first time I grasped the possibilities of memoir and began to understand its power. I intended to buy Refuge later to read again, and to follow the author’s other work, but time and the river of forgetfulness intervened. Thank you for this reflective review of When Women Were Birds and getting me back on the trail of some gread reading and learning from Terry Tempest Williams. Beth, if you get a copy of Refuge, look for the Tenth Anniversary Edition. It has a new Afterword by TTW. Such a powerful book, especially as a manual for grief. Sometimes a typo has a voice, too, Lanie. I do feel a little greedy thinking of all the great reading I’ll be enjoying . . . but so far as I know, “gread” is not yet a word. Oh, I LOVE the word “gread” in relation to reading! Doesn’t it just sum up the “So many books, so little time” philosophy? Not a typo in this editor’s eye! Lovely post, Lanie. I came to nonfiction from environmental writing and while I’m familiar with Tempest’s early work, I haven’t read her in years. Time to catch up! Her elegance in weaving observations about the natural world with reflections about her own life and the act of writing itself is pure artistry, isn’t it? A fascinating form of memoir. These days I also feel compelled to comment on the beauty of books–and this one is beautiful. It IS a beautiful book in so many ways, isn’t it, Cynthia? I loved the tactile birds on the silent white cover—pure eloquence. Re the beauty of books: I just returned from a book arts fair. In one room we created lovely handmade books and marbled our own endpapers, and in another room we repurposed old books by folding the pages into artistic shapes—two polar-opposite projects! IMHO, W3Birds is such a great example of some of the limitations of ebooks (and I do have a Kindle!). And many thanks to Richard for hosting what’s becoming a fascinating discussion!